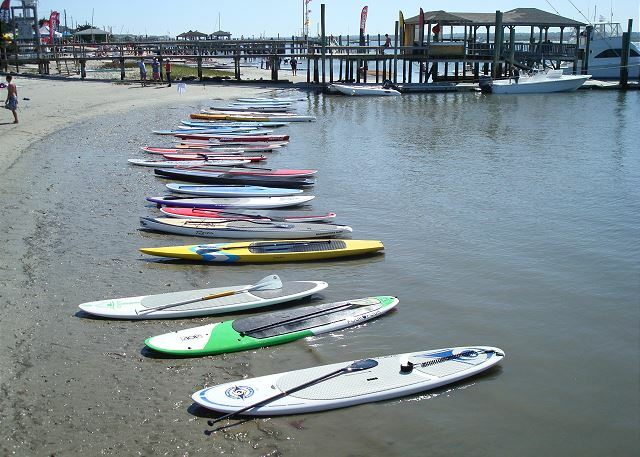 Time to enjoy some time at the "Wright Spot" in the heart of Wrightsville Beach. 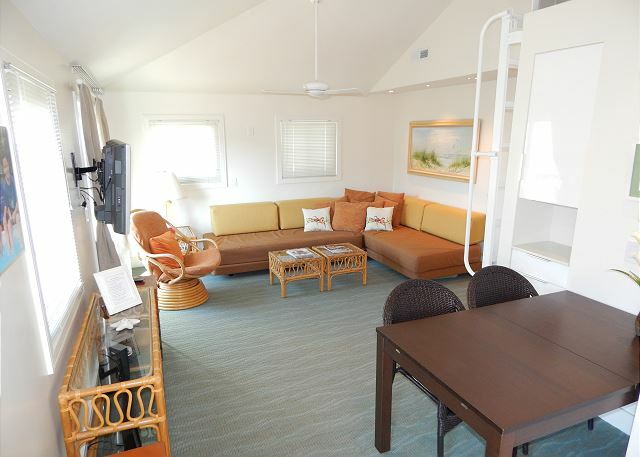 This 1 bedroom 1 1/2 bath condo has been newly renovated and offers a very cool and relaxing "Euro" style location for your next trip to Wrightsville Beach. 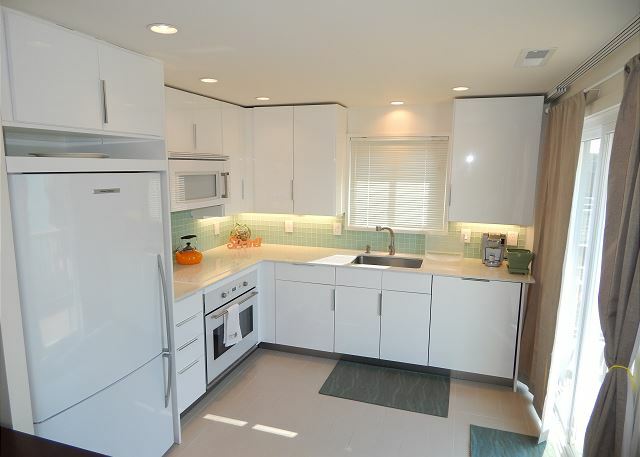 Located on the top floor and at the corner of Lumina Ave and Asheville St, the condo is in the "Wright Spot" Enter the condo and find the ultra cool white kitchen with all of the modern touches. It easily flows into the living area where you will find comfortable sofas and plenty of space to relax. 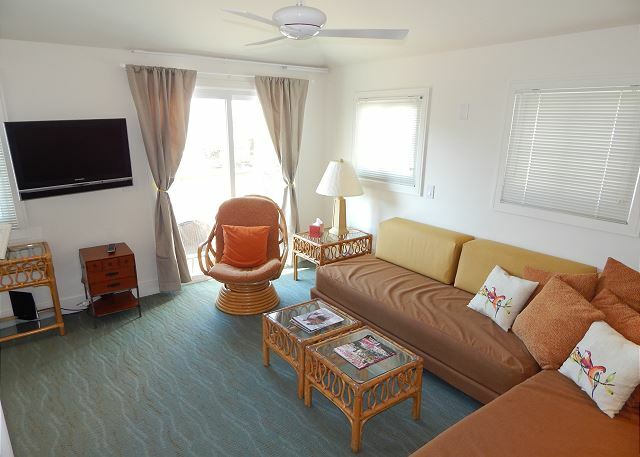 Down the hall you will find a 1/2 bath in addition to the full bath with glass shower, while the bedroom offers a queen size bed. The condo also offers a loft that is accessible by a ladder. 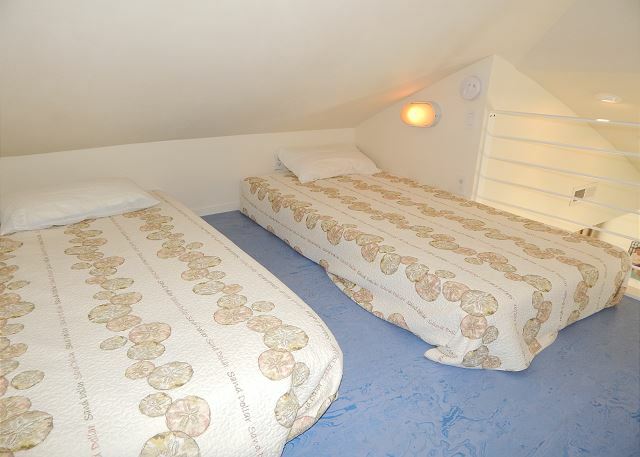 Here you will find 2 twin beds and is great for small kids to enjoy their own space. Step outside onto the large deck and enjoy a cocktail or meal at the table for 4 and enjoy the afternoon sun and views of Banks Channel. 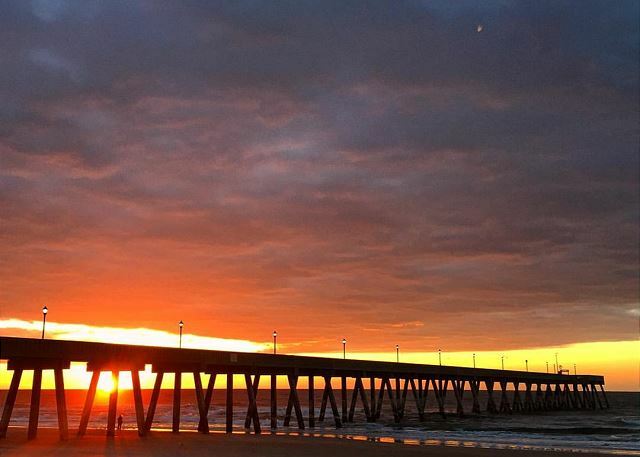 The beach is just a quick walk, abut 200 steps away. Sounds access is also just a few steps away. Location is key to this condo. Plenty of great restaurants, shopping, grocery, and nightlife are just steps away. 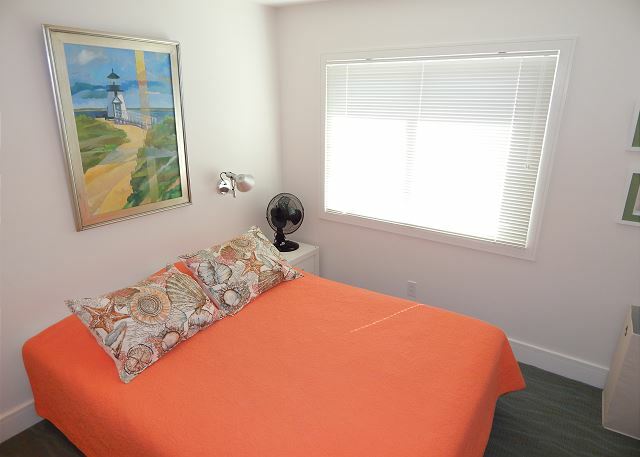 Come find out why we call this condo "The Wright Spot"! Loved this newly renovated place. Clean and comfortable with upgraded appliances. 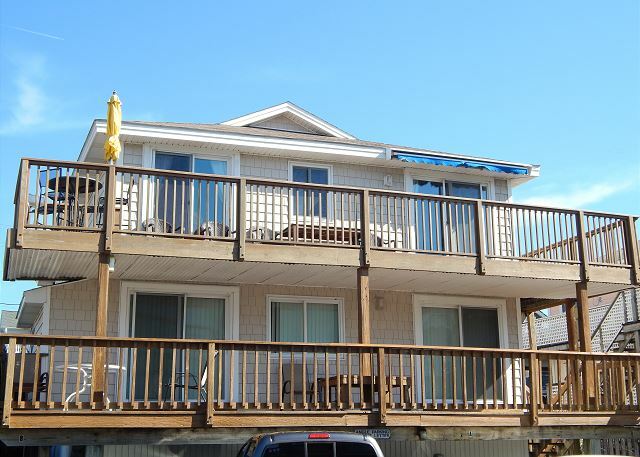 The location is ideal....1 block from restaurants and shops in town, 1/2 block from Banks Channel with a view from the balcony, 2 short blocks to the beach. Enjoyed a day trip to the Riverfront Park in historic downtown Wilmington and restaurants. 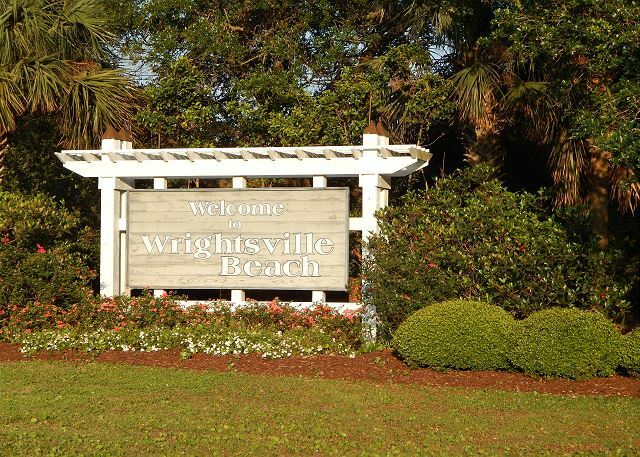 Wrightsville Sands was a delight to work with. We'll definitely stay here again. Wonderful place - will stay there again! Great place to stay. My family had a wonderful experience! This is a great little modern unit for a weekend trip to the beach. The finishes and furniture were minimal/IKEA grade, and there was enough space for a small family. We were disappointed to learn that linens were not included in the price and cost extra, and even more disappointed in the quality of the linens. The sheets were stiff and uncomfortable. And the bed was super soft and hot (assuming it was a foam bed, but didn't unzip the plastic cover to confirm). Overall we would rent the unit again, but for no more than a couple of days, as we didn't get the best sleep. 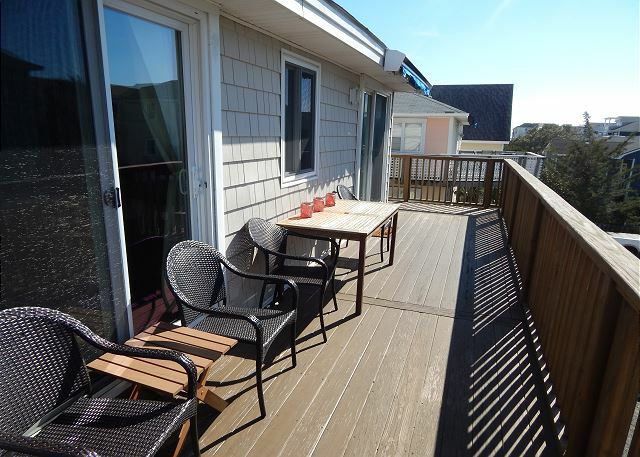 This was a perfect location and very nicely outfitted condo in Wrightsville. It is small, but smartly laid-out and quite nice to spend time in when you are not out at the beaches. It is literally walking distance to a whole variety of restaurants and bars. Our kids loved the loft and they short walk to the beach was short enough our youngest could do it without complaint. The deck was quite nice and the place was super clean and comfortable. We thoroughly enjoyed the condo. It met most all of our needs. 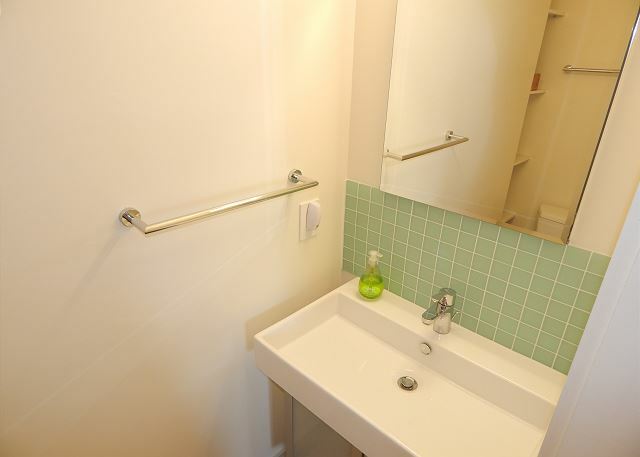 It was newly renovated and absolutely adorable and...........spotless. I highly recommend the Wright Spot for future bookings. So happy to hear that you enjoyed your stay! I will be sure to let our housekeeper know about the cleaning! Come back to see us! Our suite at The Wright Spot was absolutely perfect! The room itself was beautiful, well appointed, large master bath, half bath, fully equipped kitchen and an incredible deck. We were one house away from the Sound which we could view from the deck where we enjoyed breakfast every morning. Across the street and a short walk was the ocean and the most stunning beach in North Carolina. We travel extensively and this was the best vacation ever. 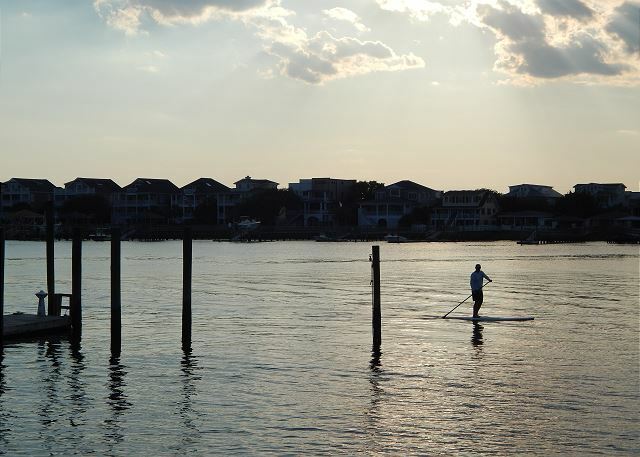 If you're looking for an extraordinary vacation getaway, The Wright Spot at Wrightsville Beach is a sure thing. I would recommend it most highly...! !